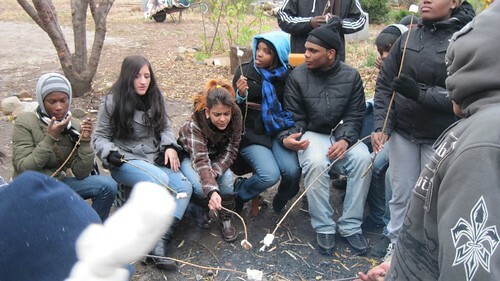 Where else in the City can children, teens and adults share around a campfire and enjoy roasted marshmallows after engaging meaningfully with Nature on community service projects? After a day of engagement in the garden, more fun! Bronx youth with our partners at buildOn.